Finishing Line Press announces a new title: What the Seasons Leave. The poetry chapbook, part of Finishing Line’s acclaimed New Women’s Voices Series, is by Massachusetts author Elaine Frankonis. With the acceptance for publication of her first poetry chapbook by Finishing Line Press at age 74, Frankonis, has finally filled the only item on her bucket list. Over the past 50 years, Frankonis has had her poetry published in a variety of small presses and online journals (many of which no longer exist). Earlier versions of several of the poems in this chapbook have previously appeared in The Berkshire Review, the Ballard Street Poetry Journal, and Mused: the BellaOnline Literary Journal. In 1998, several of her pieces appeared in the anthology Which Lilith: Feminist Writers Recreate the World’s First Woman. With a BA and MA in English/Education from the University at Albany, she was accepted by and participated in two competitive poetry workshops offered by the Writers-in-Residence Program of the New York State Writers Institute. For several years, she served on the Board of Directors of the Hudson Valley Writers Guild and was co-editor of, and contributor to, Gates to the City, the literary anthology for the Albany, New York Tricentennial celebration. Ursula LaGuin, and the 1940s version of Wonder Woman, Frankonis is a perpetual student of feminist archetypes in various mythologies and science fiction. 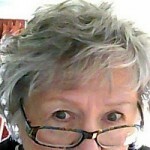 oldest women’s group blog on the net. She continues to blog, although sporadically, at Kalilily Time. Finishing Line Press is a poetry publisher based in Georgetown, Kentucky. In addition to the New Women’s Voices Series, it sponsors the Finishing Line Press Open Chapbook Competition. Cover art for What the Seasons Leave is by Troy, New York artist and print-maker, Linda K. Ryder, Ryder Studio, Troy, NY. 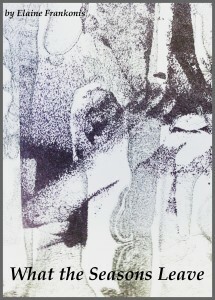 Stone and polyester plate lithograph detail from “Diva” series (2009 to present). Copies of What the Seasons Leave is scheduled for release January 3, 2015. It can be pre-ordered online at www.finishinglinepress.com. Click on “Preorder forthcoming titles” and scroll down the list to her name. There’s a Facebook meme circulating to which I am moved to respond, especially because, in thinking about the challenge, I see that my choices are very idiosyncratic. And, while I read much more fiction than non-fiction, it is mostly the non-fiction books that I remember because they had such an effect on my ways of thinking and creating. The fiction I remember because they were quirky and mind-bending. ADDENDUM: The sci fi book the title of which I couldn’t think of just popped into my head: Crygender by Thomas T. Thomas. Hardly great literature, but that was not the topic of this meme. the antics of digital cats. 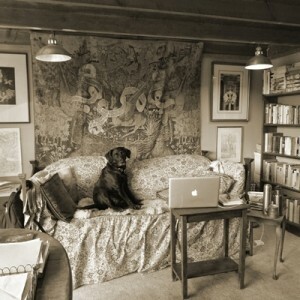 According to Natalie Goldberg, writer and teacher, the order should be “Sit, Walk, Write,” but, as is my nature, I fudge things to fit my nature. Following directions is not one of my strong suits. I improvise. When the temperature hit 50 degrees today, I went out for a stroll (again, my nature) under a clear and sunny sky. The cool breeze brought the non-scent. of a waning winter. There is still snow on the ground. Vague puddles cross my path. I can barely hear my footfalls, although that can be more the effect of my diminished hearing rather than the soft tread of my measured heel-to-toe pace. 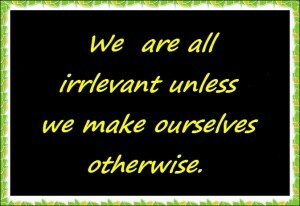 I doesn’t matter. Cracks in the asphalt form telling mandalas, and I wish I had brought my camera to capture the symmetries of these unexpected partnerships between man and nature. The same young woman passes me again, this time going the other way. I wait for her to pass me yet again, because three is a magical number, but she doesn’t. Is there meaning in that? A young boy, about seven years old, walks past me on the other side of the street. He is pushing what looks like a doll’s carriage; it’s too small for a baby. When he walks toward me later, coming the other way (it seems like everyone is coming and going, but I just keep going), I stop and look through the mesh into the stroller. It’s a big orange cat. He says the cat’s name is Oliver. I look down at the logo on the stroller. It’s a pet carrier. Why not. When I sit, it’s on the sunny front steps with my daughter and grandson. We sip our teas and chat. I need that kind of company/togetherness, and they provide it. I feel lucky. In a moment of silence, I wonder how my son’s goats are doing. It is the year of the goat. And of goat therapy. Sometimes magic happens. The clouds finally drift in from the west, and the breeze picks up. Now it’s time to write. And I am. Obviously, I’ve cleaned out my blog house, going for a fresh new look. Now, the challenge is to clean the cobwebs out of my head and start to write here again. It’s not unusual for bloggers to take a break every once in a while. I’m also motivated to tune up physically — went to the chiropractor today. Of course, it helps a lot that my daughter (who cooks for the family) has upped our intake of delicious vegetables and cut down the fleshy portions of our meals. That means I’m eating healthier (except for my late night snacking, which I’m trying to control). With Spring will come more walking and a greater willingness to get myself out for the exercise classes at the well-equipped local Jewish Community Center. My next challenge is to clean out my living space and make room for the new Lazy-boy glider recliner I bought myself for my birthday with my tax refund. In the meanwhile, I’m still putting out heirloom seeds for wintersowing, even though it’s kind of late for that. I can’t wait to get out and garden. Actually, it’s a laid-back Pioneer Valley Sunday. All I did all day was some knitting while I listened to an audio version of the second book of the Hunger Game series, Catching Fire. I love the fact that I can download audio books free from the library, but I don’t like the fact that I have to hurry and finish listening before the allotted time. I just don’t understand, since it’s downloaded, why an audio book can’t be available to any number of borrowers at the same time and for as long as they need to finish the book. My grandson is out in the back yard reading an oversized Calvin and Hobbes book of cartoons; his mom is out there reading some book about home schooling on her Kindle; his dad is nearby reading an actual book borrowed from the library — a biography of Frank Zappa. 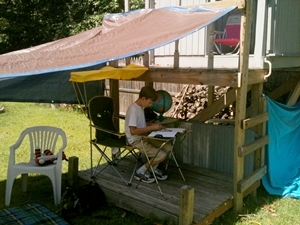 My grandson takes a break from reading every once in a while to resume his imaginary globe-trotting journey that is based in a “camp” he has set up next to his “fort” in the yard– complete with globe, desk, drafting tools, and assorted mute companions — where he devises maps and plans his adventures. He has amused himself all day out there with only occasional bouts of participation by the rest of us in his continuing saga. At some point, I unplug myself from my audio book and listen as my grandson reads aloud to us something from Calvin and Hobbes that he thinks is funny. My daughter shares a passage from the book she is reading about how important it is for kids to have time for imaginative unstructured play. I think about our neighbor’s young son whose days are taken up with competitive sports, school, karate, Pokemon, and video games. A basically nice kid, an ordinary kid, he is almost devoid of any flights of fancy or curiosity about the world around him. Ours is not a typical or ordinary family, and our quirkiness extends way out to the west coast, where my imaginative untypical son still struggles to find a job. I think about what the world will be like when my grandson is ready to participate fully in this society, to find work that is meaningful and satisfying. Hopefully, the Hunger Games is not prophetic, although if the Republicans had their way, it might come awfully close. For now, we are thankful for what we have. And we hope for a future where curiosity, imagination, playfulness, and mutual support and cooperation across age levels are valued a lot more than they are today.